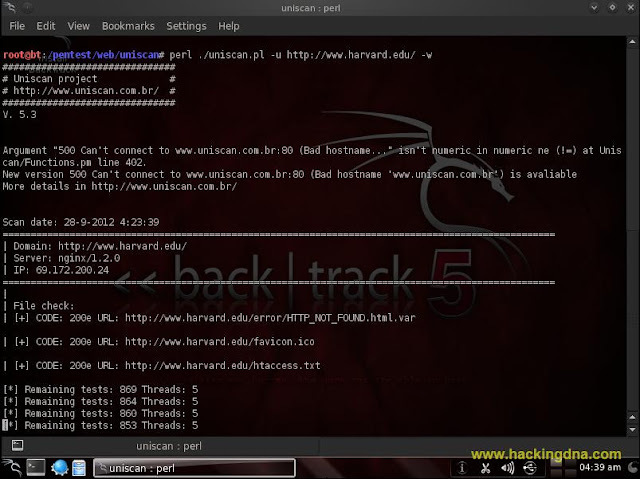 The Uniscan is a vulnerability scanner aimed at information security, which aims at finding vulnerabilities in Web systems and is licensed under the GNU General Public License 3.0 (GPL 3). Control the maximum number of requests of Crawler. To use help option enter the command . Below it shows other examples . This is how we can use this "UNISCAN"